CPD is about structuring your needs and requirements and provides incentives to individuals for continuing their training and development throughout their career. Professional members (Fellows, Members and Associates) of the Institution of Environmental Sciences must complete 30 hours CPD per year. The IES’ CPD scheme provides a planned and structured approach to the maintenance and upgrading of members’ skills. A member can contribute to their CPD by attending any of the workshops, short courses or seminars held by the IES. The IES wishes its members to demonstrate the ability to provide a high-quality service, achieve greater job satisfaction and improve employability. In this sense, the central aims of CPD are to enhance career prospects and contribute to professional performance. The Institution believes that that CPD should be regarded as an integral part of an environmental professional’s career, serving to augment the professional’s ability in the workplace. CPD is also essential in the winning and maintenance of Chartered Environmentalist and Chartered Scientist status. 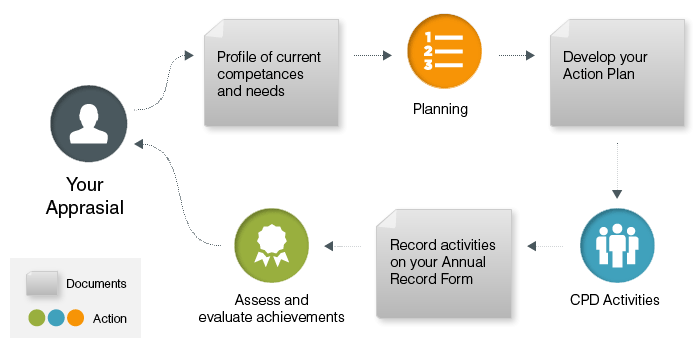 CPD should be recorded using our online tool available through the membership dashboard. Summarises frequently asked questions in regards to the IES CPD scheme. An explanation of the five IES CPD learning categories, including examples.